Over 4000 available. Save 40% to 70%, and help the environment by buying recycled equipment for your lab. We recondition, inspect and thoroughly test every product we sell - guaranteed! 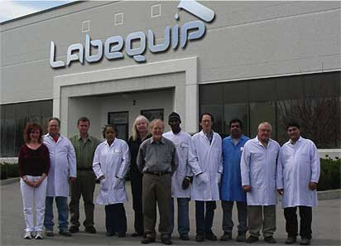 Labequip buys, sells, rents and repairs new and used scientific instruments and laboratory equipment. Second-hand equipment is refurbished and guaranteed. We are North America’s premier laboratory supply company for general science lab, analytical chemistry lab, microbiology and biology, food analysis, metallurgy, biotechnology research and development, biofuel and petroleum testing, physical properties testing and pharmaceutical research. We supply university, hospital, private and research laboratories worldwide.